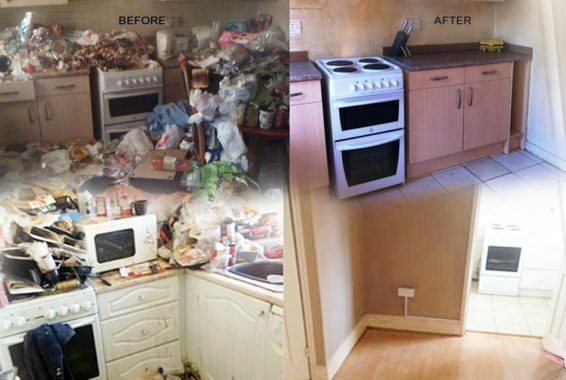 The Core Facilities Group Limited offers a complete range of property clearance and specialist cleaning services in Gloucester and the surrounding areas. As a long-established facilities company, The Core Facilities Group Limited have all the experience and resources required to carry out all types of property clearance to include end of tenancy and bereavement/probate clearance work. If you require the removal of household goods and waste, we are licensed waste carriers and can provide a full waste audit trail, ensuring that your property is left empty, clean and tidy ready for sale or let, or transfer to a landlord. We provide property clearance and cleaning work to all types and sizes of property, both residential and commercial, whatever the access. We are aware that a house clearance is often required in difficult circumstances, such as bereavement, and we pride ourselves on our expertise in carrying out our services in a dignified way, with care and discretion and with as little disruption as possible. As a professional trauma and crime scene cleaning organisation, we can undertake any type of clearance and clean, whatever the condition. We fully understand the sensitivity on certain jobs and we can ensure full client-contractor confidentially. After eviction, we can clear and clean the property, secure windows and doors, and we can also provide onsite 24 hour SIA licensed security officers to prevent a recurrence. We can also liaise with all the authorities (Police, Fire and Council) on your behalf and action your requests, however sensitive. Compliance with statutory requirements and good practice. As an ISO 14001 accredited company we take great pride and care to ensure that our operations have minimal environmental impact. We do this be taking responsibility for the goods we handle during a property clearance. Re-use: We do our utmost to ensure that as much as possible of the material we handle as a result of a house clearance is re-used. Re-use is more environmentally friendly than recycling, because there is no processing of any type involved. We donate items of furniture to charities and non-profit organizations, which means that they are fully utilised. Recycling: Where re-use is not possible, we arrange for recyclable materials to be processed by local authorities. This includes paper, glass, plastic and metals. Responsible disposal: Only the residue of non-reusable material is disposed of using local authority refuse amenities. At present, we either re-use or recycle 90% of everything we handle. If you instruct us to clear your property, we suggest that you separate and clearly label items to be retained, and advise us of their presence so we can make sure that your instructions are carried out exactly as requested. Where possible, notify the neighbours and co-tenants (in a block of flats, for example), that we are clearing the property, and assure them that there will be minimal disruption, although a small amount of noise cannot be avoided. If you require some items to be retained and transported elsewhere, please let us know a few days before, so that we can put the necessary arrangements in place.